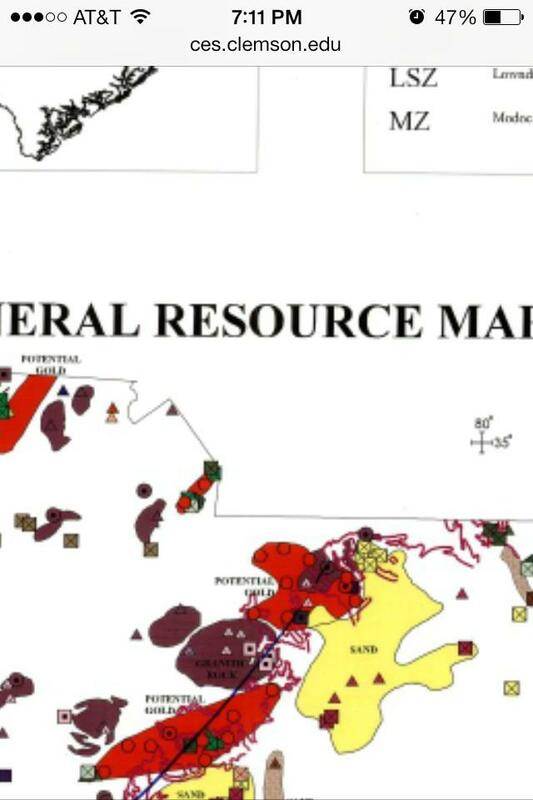 Morocco is very complicated in terms of localities and must always be updated. 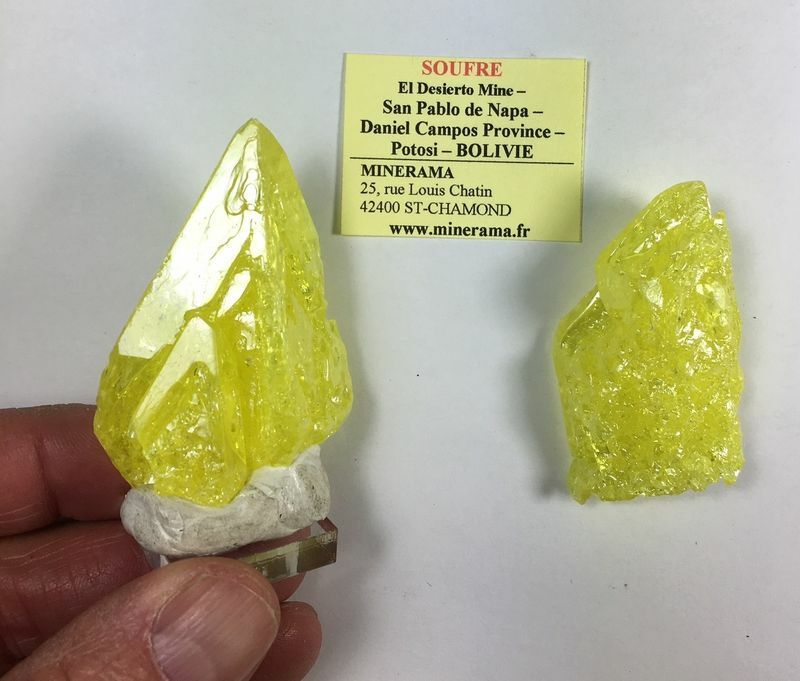 With these new Proustites of "Bouismas" it has turned out that there are two types, the large and slightly satin-looking crystals often without Calcite are from Bouismas Mine but the smaller ones with a very vivid color, very sharp terminations and in Calcite have turned out to be from the new shaft (without name) in Aït Ahmane. At the time I asked the best experts and they all said "Bouismas" but considering that the miners sells pieces among themselves and that the merchants who buy the miners are, says... "not-too-much-precise" ;-) many times in Morocco you should update labels when you get to know things better. 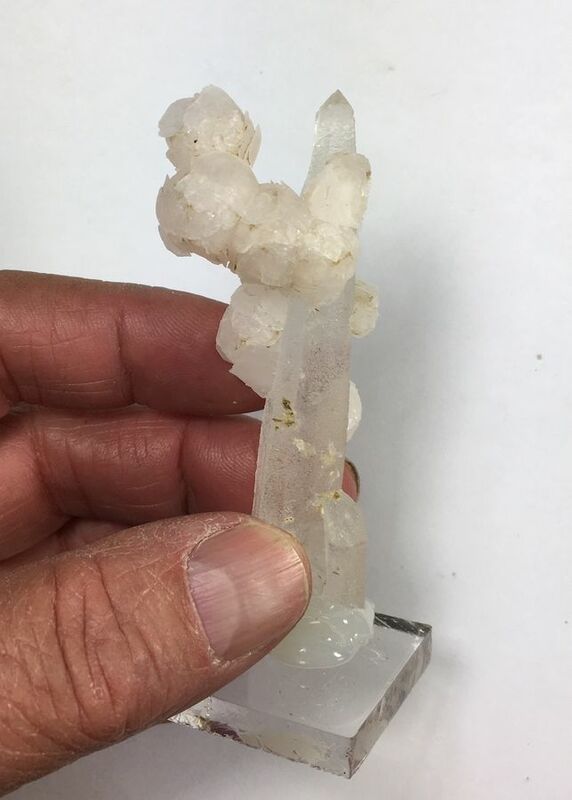 There are new Proustites on white Calcite of the new shaft of Ait Ahmane, but at the same time also there are elongated crystals from the shaft of Bouismas!!! 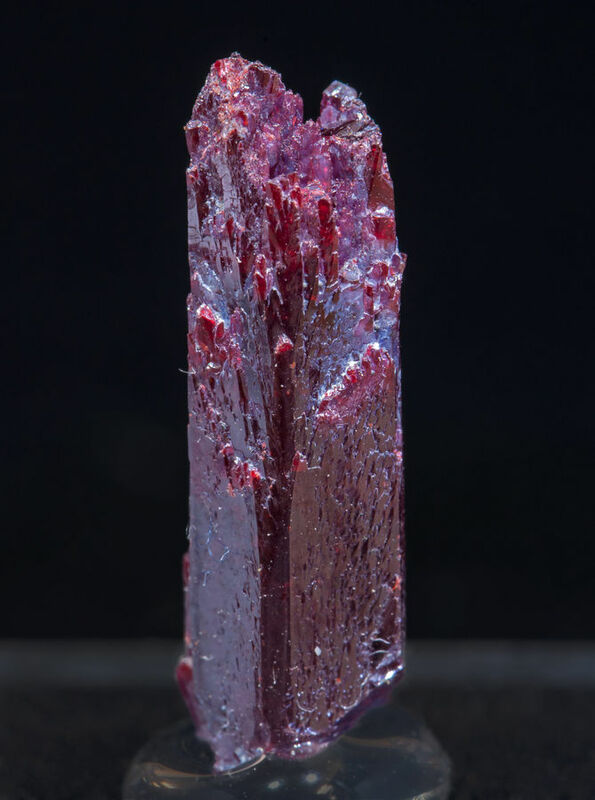 I saw Proustites mined a week ago from the two localities, on the table they sorted those of the Bouismas shaft, large and with a dark red color and that of the new shaft of Aït Hamane with a red "cherry" color in elongated crytsals with very nice terminations. The samples from the Ait Hamane's new shaft looks more beautiful. The bright red contrast on the white calcite is the most beautiful effect. And here you have the third and last post about the Tucson's new discoveries I found. 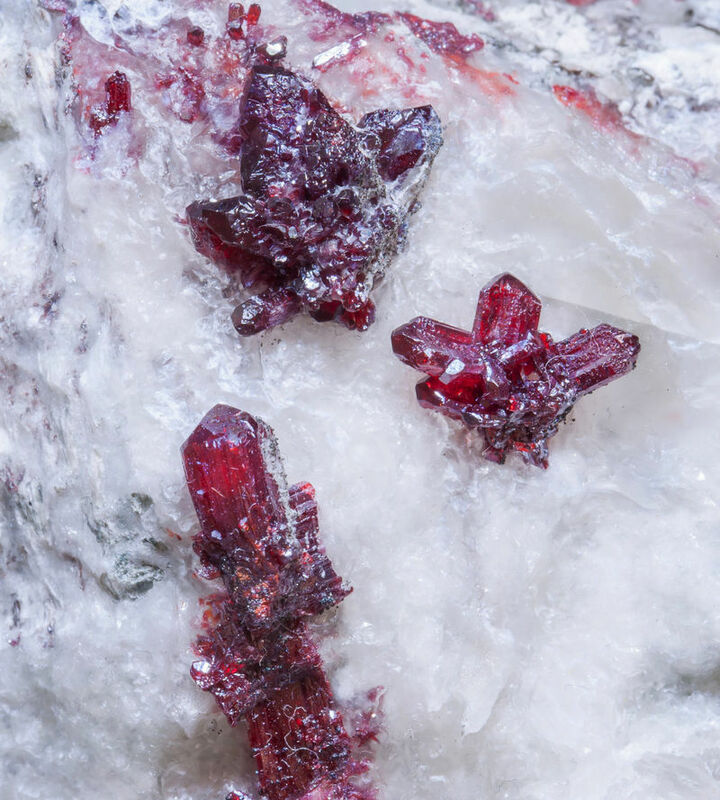 - In June 2018 in Amelia Mine in Boleo, Mexico and due the regular works that are doing there using the old dumps of the Amelia Mine to remove copper it seems that they crossed a very old gallery, a XIX century gallery, and that they accessed to an area with many large crystals of Boleite (and even some Cumengeite) and the best was that as these species were preserved inside this old gallery the crystals were "fresh", not weathered. 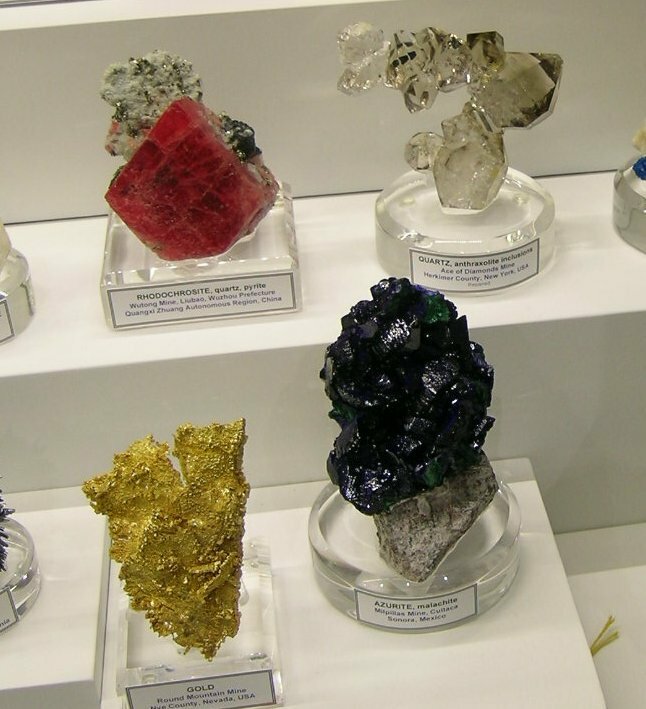 - The San José Mine in San José del Progreso, Oaxaca, Mexico continues giving super Miargyrites and adding to these very fine Pyrargyrites as well as something new: Argentotennantites. I'm still pending of a second analysis (the first one was made by the Arizona University) but if these are right them would be the world's best for this species. 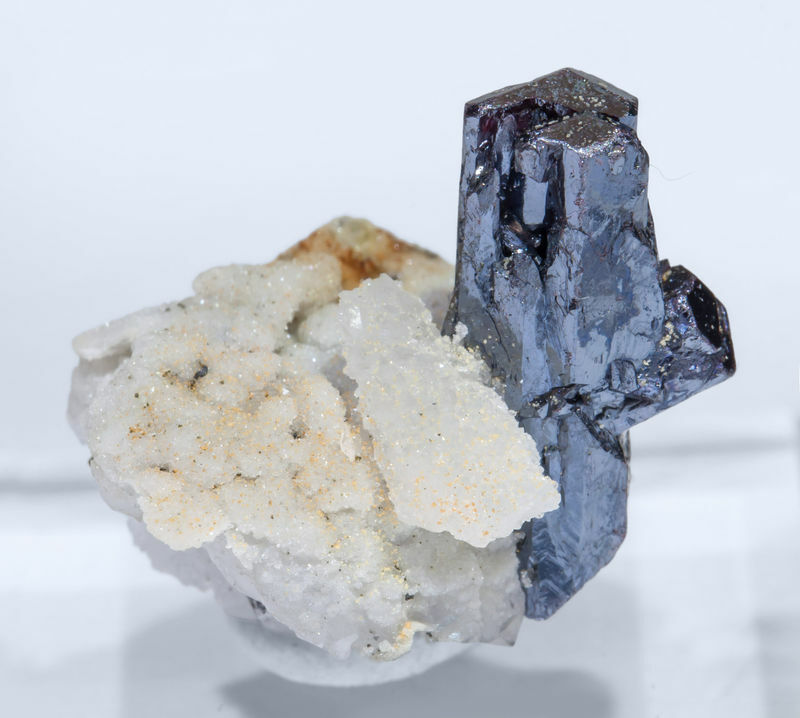 One of the nice Pyrargyrites recently mined in San José Mine. This one is with Pyrite and Quartz and its size is 3.7 x 2.9 x 1.2. cm. with crystals around 1 cm. - To finish with this list of new discoveries, here and there I saw very fine (and some very large) Beryls variety heliodor from Odisha (Orissa), India. Of course the reference is extremely vague (Odisha is a large state of India) but considering the size and quality of these Beryls is something very promising. 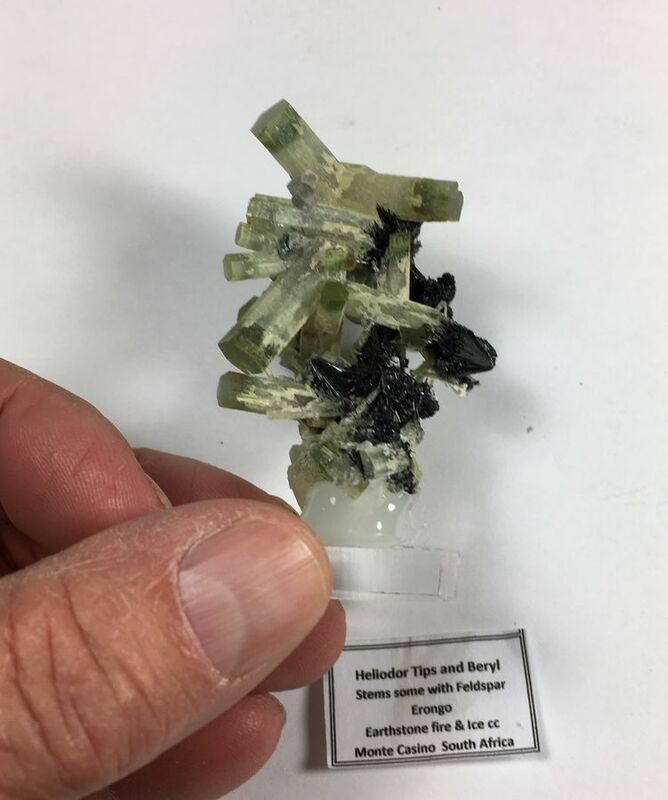 Fine Graphites on Diopside were found between June and July 2018 in the Rossie area. 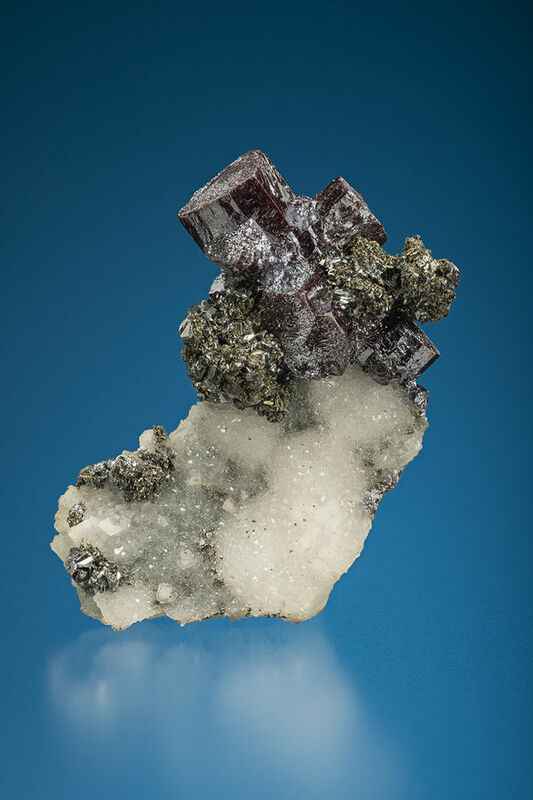 Dimensions: Specimen size: 1.4 × 1.3 × 1.6 cm. Main crystal size: 1.2 × 0.4 cm. Dimensions: 3.7 x 2.9 x 1.2 cm. with crystals around 1 cm. The Pyrargyrite from the video above with another vision. One example of these still mysterious Beryls from Odisha. Will see what will happens in the future and if the locality becomes more precise. Seeing Jordi's recent posts encouraged me to take one final tour through my Tucson 2019 photos - and I thought I would add 2 additional display cases to my previously posted "Top 8" to get to the more appropriate "decade based" Top 10 summary. I think the 9th best case in the show was the one put in by Marc and Janis Countiss - this is simply a wonderful collection of terrific specimens - including one that I don't think I saw anywhere else in the show - an exceptional rhodochrosite rhomb from the Wutong Mine, China - see second photo. And the 10th best is a truly great thumbnail case put in by Jim Blees and Rich Olsen. Thumbnails seem to have taken a back seat to other sizes over the last decade or so, but I love 'em and I think there's something to be said about a display case where all the specimens are very similar in size. 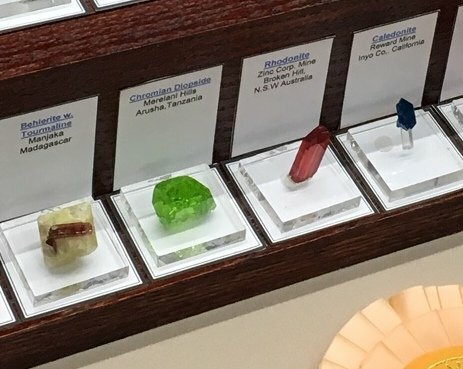 There are just soooo many excellent pieces but Merilani chrome-diopside and the Broken Hill rhodonite really stand out. A terrific Merilani chrome-diopside and next to an equally wonderful Broken Hill rhodonite. And, finally, here's three other interesting new items that were around the show in limited numbers with the exception of the sulfers - Minerama and others had lots of the sulfers to pick from. Beryl various color zones with schorl. Clive Quite had a few of these from the same locality as the Aqua/Schorl specimens. Quite interesting. Minerama had a large hoard of these excellent sulphur xls. 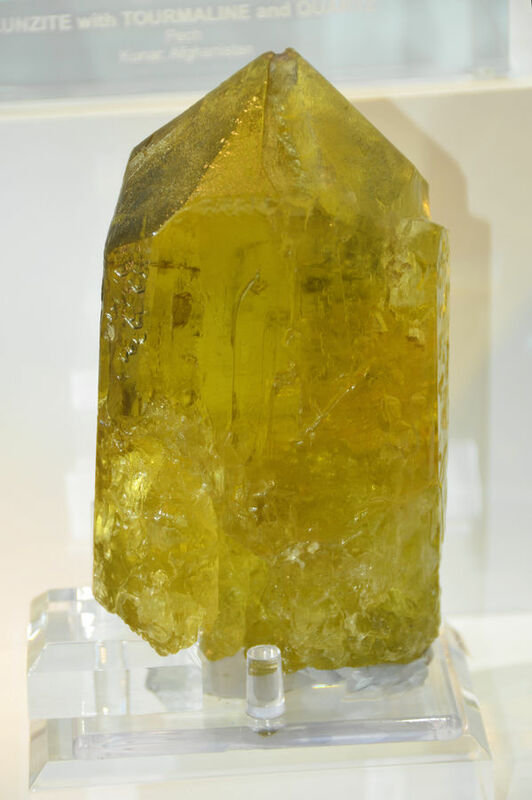 Bright yellow, large gemmy xls and well crystalized with clean faces and tips. IT’S OFFICIAL!!! WE ARE MOVING IN 2021!! 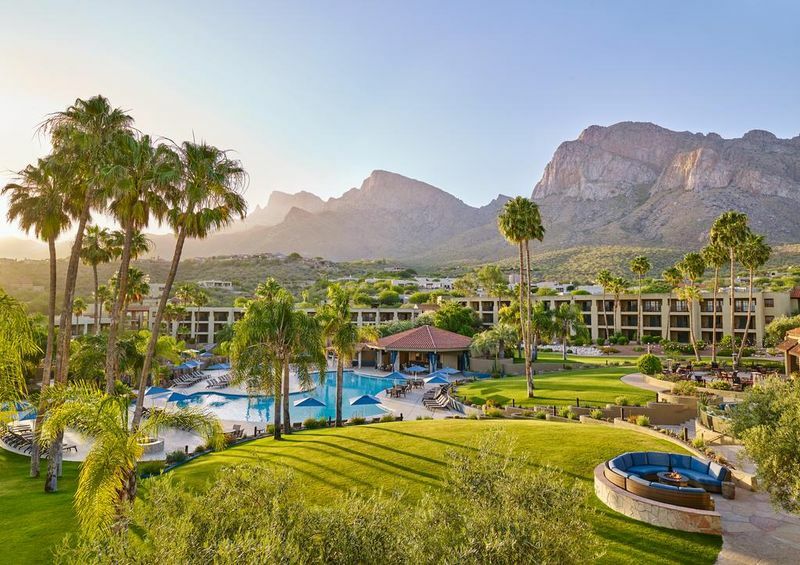 ARIZONA MINERAL AND FOSSIL SHOW will be moving to the EL CONQUISTADOR TUCSON, A HILTON RESORT, in Oro Valley, for 2021-2026 and the future. 1) The selling/hotel rooms at El Conquistador have 420 square feet or more vs. Hotel Tucson City Center - average 168 square feet. THAT’S 2.5 TIMES MORE SELLING SPACE at the El Conquistador!!! 2) El Conquistador has 40,525 square feet of meeting room space vs. Hotel Tucson City Center which has 10,150 square feet of ballroom space. (Gold Room had 2,800 square feet and the Silver/Copper had 7,350 square feet). 3) El Conquistador has 5 restaurants / food service facilities vs. Hotel Tucson City Center which has 2. 4) El Conquistador has 5 pools, a great golf course, spa facilities and other amenities available to guests and visitors. Visitors can enjoy a beautiful courtyard with green grass, trees, plants and a relaxing atmosphere! 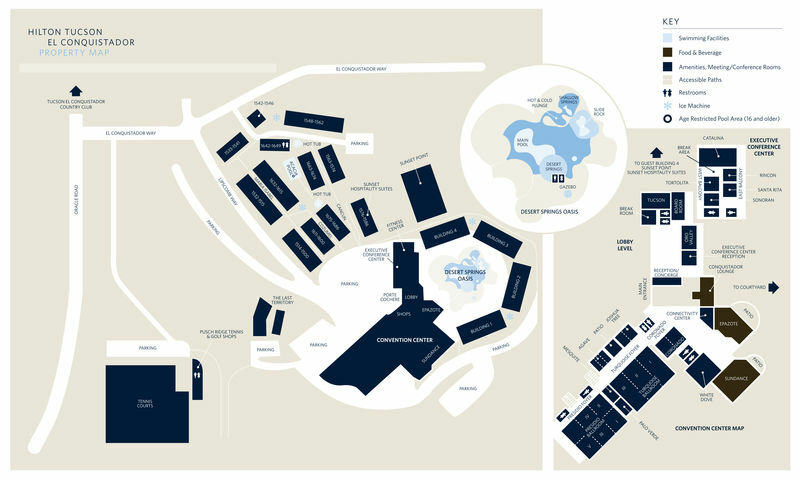 5) See attached maps of Hilton Meeting Rooms and Hilton Resort Map. 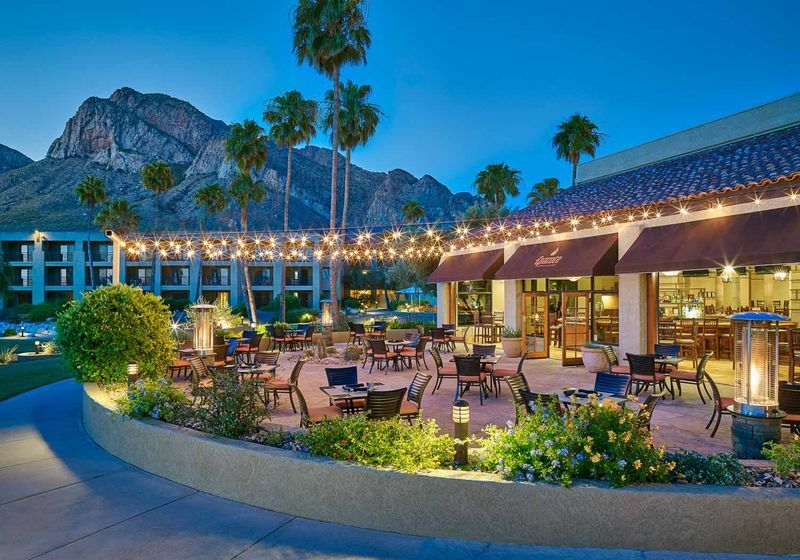 Arizona Mineral and Fossil Show has reserved 28 ground floor selling rooms in Buildings 1 and 2 (adjacent to the large hotel courtyard) AND 72 ground floor rooms in the “Casita Village." This is a total of 100 first floor selling rooms (Hotel Tucson City Center has 100 first floor selling rooms). We have also reserved meeting/ballroom room space (ranging in size from 425 square feet to 11,900 square feet). 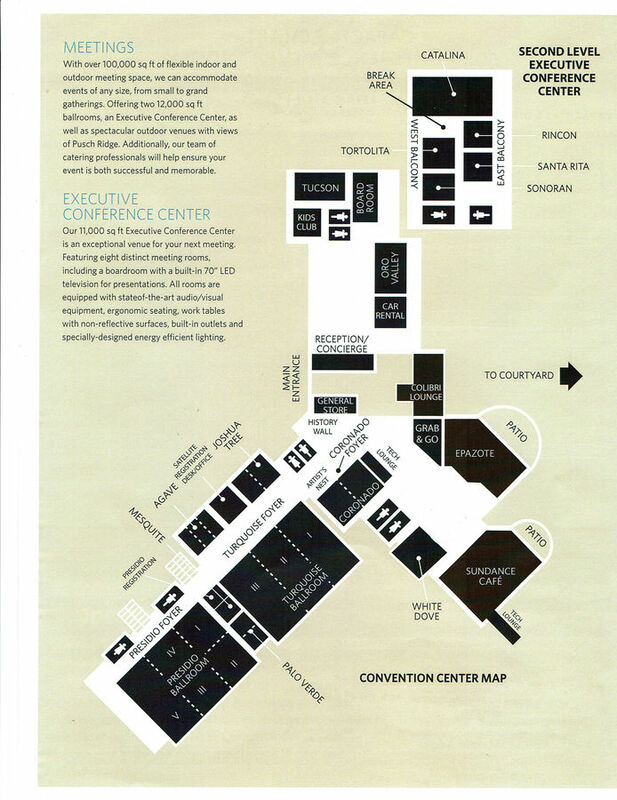 There is also hallway/foyer selling space available in front of the meeting rooms (an additional 8,040 square feet). Arizona Mineral and Fossil show has also reserved sleeping rooms in buildings 1 and 2, on the upper floors. There will be a dedicated parking lot on hotel property to accommodate box trucks and trailer/vans. There is an additional satellite parking lot on hotel property. Arizona Mineral and Fossil Show will provide free shuttle service between El Conquistador's lobby and the satellite parking lot. The hotel has valet parking. 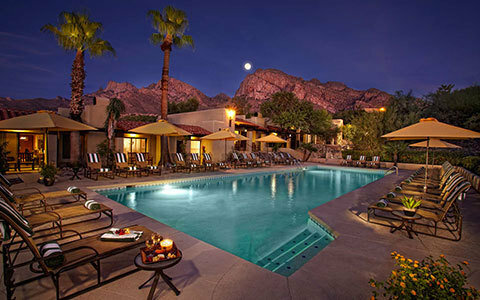 Welcome to El Conquistador Tucson, a Hilton oasis resort in the heart of the desert Southwest. 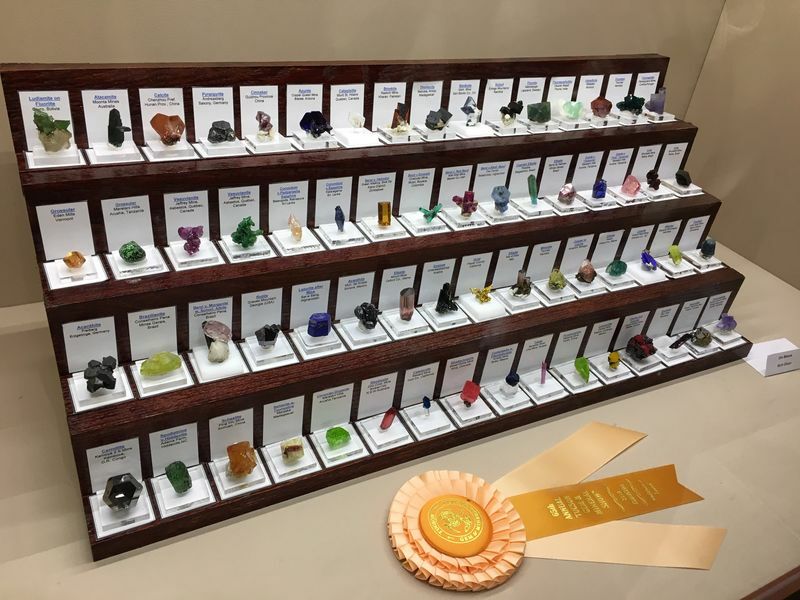 After a long, dusty, dry day of shopping the gem shows of Tucson, think of windswept mountains, wildflowers, fiery-red sunsets, green grass, golf courses, tennis courts, pools, beautiful landscaped grounds and spas! The El Conquistador Tucson has all of that and more! The Hotel features newly remodeled guest rooms, suites, and casitas; 5 out-door pools, jetted tubs, an adult-only pool plus four restaurants to choose from. Plenty of self-parking and if you prefer, paid valet parking. The Hotel is 13 miles from the Tucson Convention Center. Sleeping Room Reservation forms for the 2021 show will be available on LLD Productions, Inc., website in 2020. 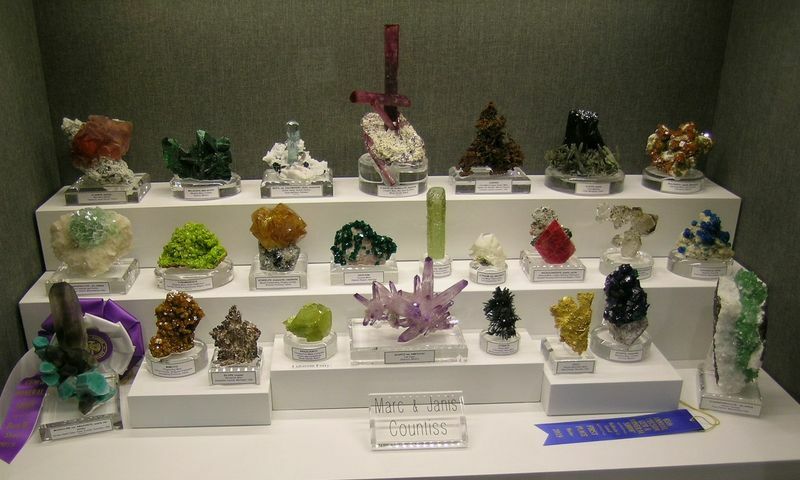 At that time if you wish to book a sleeping room for the 2021 Arizona Mineral & Fossil Show, please go to our website: http://www.mineralshowslld.com , click on the link for the Arizona Mineral & Fossil Show and download a sleeping room form; complete the form and email it back to us at our email address or email us at: mineralshowslld @ gmail . com and we will be more than happy to send you a sleeping room form.